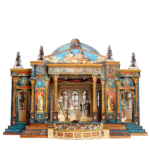 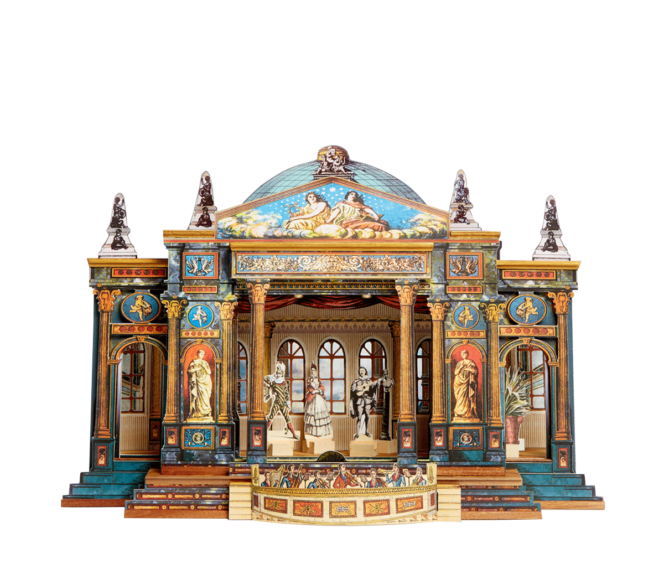 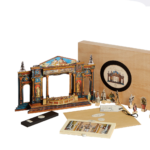 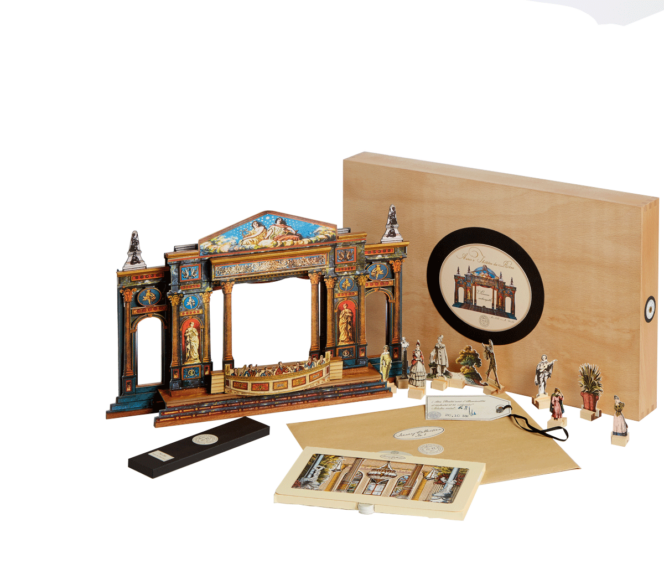 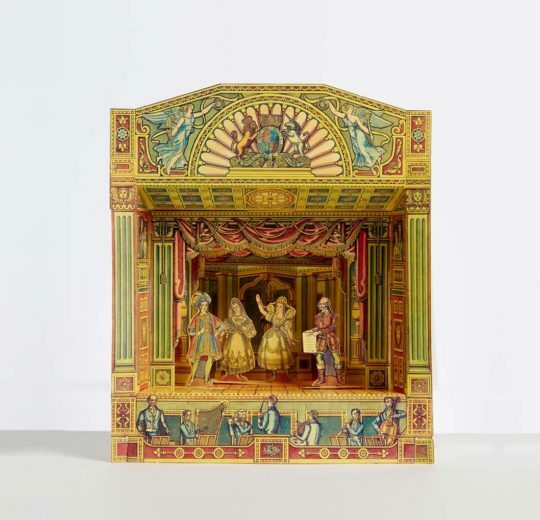 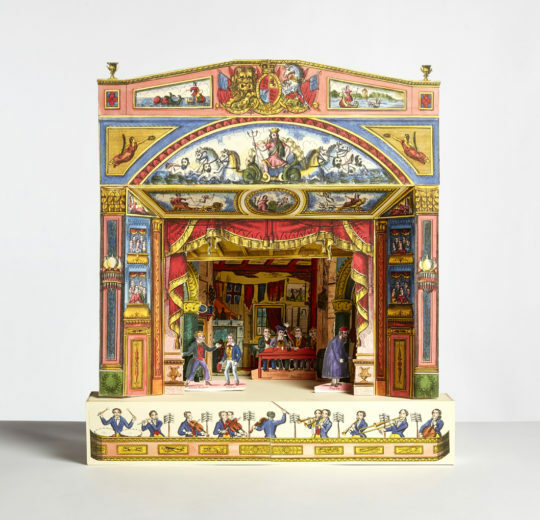 Made from thick card and mounted on wood, the theatre is housed in a luxury wooden box with brass detailing and comes complete with lighting kit and a beautiful collection of pre-cut scenes and characters, beautifully reproduced from their collection of antique 19th century European toy theatre sheets. 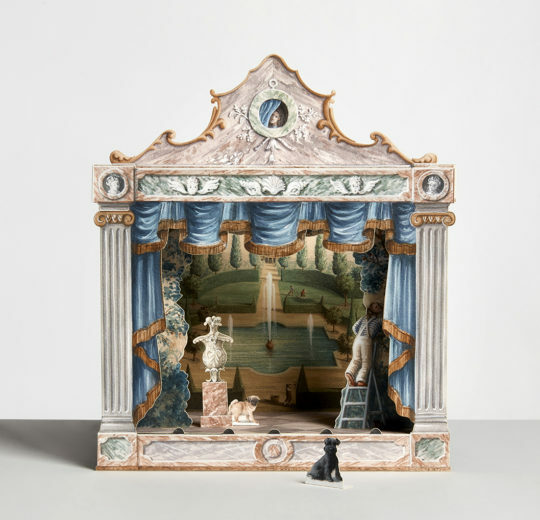 Limited in number due to them being handmade, the theatre comes with it’s provenance and limited edition number. 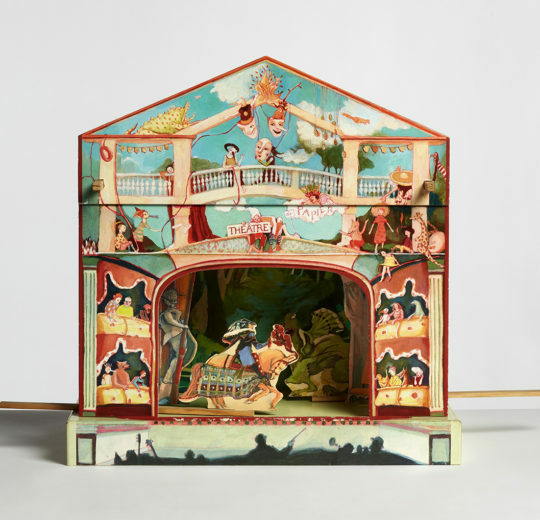 Wooden Box with brass fixings, LED lights, laser cut card theatre with wooden detailing. 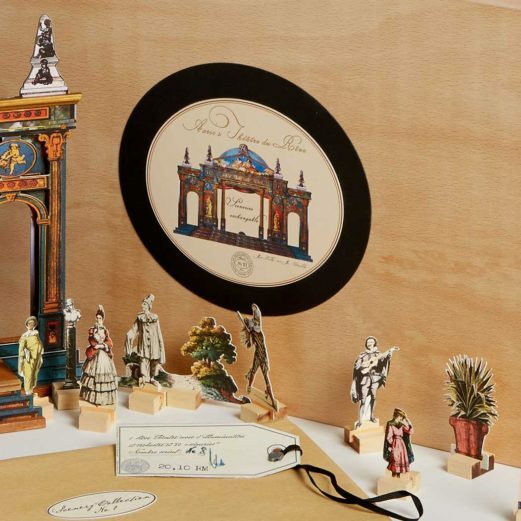 Pre-cut scenery and characters with wooden stands.